Vivo, which is on a launch spree of late, will soon launch a new smartphone, dubbed as Vivo V9 Pro. According to a new report by IANS, the V9 Pro will be powered by the Snapdragon 660 chipset and the price of the handset will be below Rs 20,000. Very recently, Vivo launched the V11 Pro with the same Snapdragon 660 AIE chipset on board, but the V9 Pro will be a downgraded version of the V11 Pro and an upgraded version of the Vivo V9. Besides the processor, the Vivo V9 Pro will have similar specifications as the Vivo V9 such as the 6.3-inch display, Android 8.1 Oreo and 4GB of RAM. As mentioned above, the V9 Pro will have a similar spec-sheet as the Vivo V9. To recall, the Vivo V9 was powered by the Qualcomm Snapdragon 626 chipset, clubbed with 4GB of RAM. The V9 Pro, according to this new report, will have the Qualcomm Snapdragon 660 chipset and could come with 6GB RAM this time around. Talking about the specifications of the Vivo V9, it has a 6.3-inch Full HD+ display with a resolution of 1080 x 2280 pixels. The V9 Pro is also expected to come with the same screen and with a similar type of notch on top. The screen-to-body ratio is said to be 90% on the upcoming 90%. The display on the Vivo V9 Pro could be an IPS LCD panel. Cameras on the Vivo V9 include a 16MP shooter on the rear side with f/2.0 aperture and PDAF, along with a 5MP depth sensor. On the front side, the V9 rocked a 24MP selfie shooter. The V9 Pro, being a successor to the Vivo V9 will likely arrive with a similar set of cameras. The V9 is armed with a 3260mAh battery with fast charging support. It’s unknown whether Vivo is looking to increase the battery capacity or not. Just a couple of weeks ago, Vivo launched the V11 Pro smartphone in India at a price of Rs 25,990. 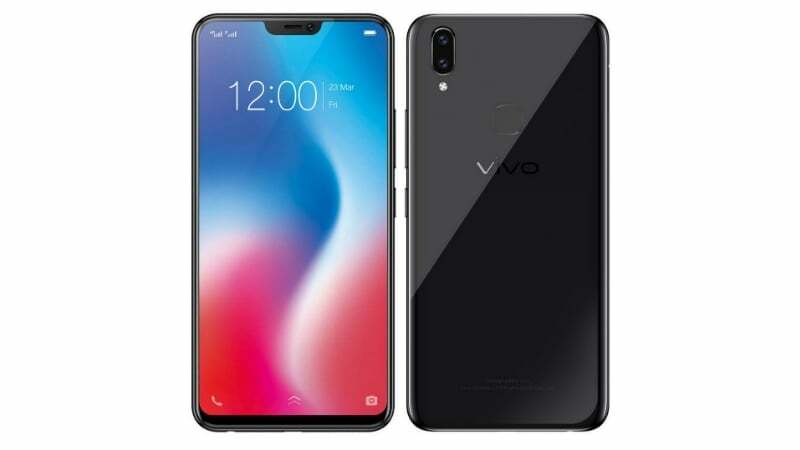 The V11 Pro packs much superior hardware such as in-display fingerprint scanner, waterdrop notch, slightly bigger battery and far better rear cameras than the Vivo V9. So going by the Vivo V11 Pro pricing, the V9 Pro might retail for Rs 19,990. If Vivo launches the device around Rs 18,000, it will give a tough competition to the Xiaomi Mi A2, which is the only Snapdragon 660 SoC device priced under Rs 20,000 in India. Useless crappo v9pro like Samsung J6+ model.